An allegoric poem from 1984, with some revisions. It is set to music. I shall publish the melody shortly after making some revisions to that. For years we longed to see this day! I beg that she do not go away! Despising my Laws whilst under my rule…. What wonder is this, good friend, I pray? And now I go, nor can I stop! Your Queen shall return to wipe thy tears! In Wonders across His firmament. *pronounced “a – genn”. This was written in Doncaster, and is one of the few demonstrable cases were that particular dialect can be seen in what I write. In Norway we have a saying. “Ingenting er så galt at det ikke er godt for noe“. It means “Nothing is so bad that there is nothing good about it”. I thought about that last night when I found something I thought had been lost forever. My late parents from about the time I wrote “The Enemy”. Back in 1986 I was still living at home with my parents. It was a difficult time. I was no longer in full time education, and I was unemployed. At the age of 21, this was no good situation. With the benefit of hindsight, I can now see how remaining at home so late was extremely destructive to our relationships, but because of my unemployment I simply did not have the means to do anything about this. This resulted in a dysfunctional situation that arguably re-enforced itself in a vicious circle, both with respects to life at home and my prospects for getting out of the unemployment queue. Because of these circumstances, I went through a crisis mentally. The carefree world I had known in childhood, with its security and comfort was now gone, and I met each day with foreboding and uncertainty. Now thank God – after an influential person who has sadly left this world gave me a reference – I was ultimately successful in getting back into education, and I did leave that queue. Nevertheless it was from this time that I first started putting my thoughts to paper. “The Enemy” is something I thought had been lost in 2010. I had a flood in the cellar of where I then was living here in Norway, and the original paper containing this got destroyed. Although I had made a copy on my harddisk, I have never been able to find it – until now. A few weeks ago, I had a devastating harddisk crash, and my friend Jon Blamire in Finnsnes was very kind in telling me exactly how I might rescue my data. After having placed my damaged disk in an enclosure, and being successful in rescuing it, I have been applying the same technique on another yet older disk I have. And sure enough, what do I find today, if not that poetical writing from 1986 that I thought I had lost! If there is anything that really is interesting, taken as it is from the year 1986 (when I spoke only English), it shows how sensitive I was even then to the distinction between “you” (singular) and “you” (plural). That is something that constantly bothered me, and in many respects still does when I am using English, because I actually think it and am frustrated in trying to communicate it. It is interesting because it shows how different I really must have been given that this is not a feature of the culture I was born in. Be as nasty as you may; you all shall fail. You shall not trouble nor defeat me. I have overcome the lot of you. Your strength is in deception, craftily planned; my strength is in the LORD, whose seal is truth. You are nothing. You are false and empty of all reason. Which of you has any truth? Yet you would dare still to trouble me – and many others too. You are children of deception, the breath of falsehood! Many lives you have laid waste. The ones you hurt are out of sight, rotting in a mental knacker’s yard. They cry aloud, but are not heard. Your crimes go unreported to the world. And so it goes for forever on: each day another joins their ranks. You are the enemy. Like raiders of long ago, you come hoard upon hoard against us, invading the peace and the tranquillity of our minds. How many of you there are! But cowards – all of you! Not to the strong, but to the weak your deadly army goes. Destruction of the self follows you; you leave nothing for our salvaging. Yes you – you are the enemy! These are the ones who have brought us to despair. We were fooled by their crafty game. Haunting us has been their play. We are humans; phantoms they. These ghosts are nothing but good trickery. They should not cause us further fear. Can you not see their emptiness yourself? Shine a light; they disappear! They are shadows in your mind! Ignore them; they can do no harm. You shall live again, and you shall give them nothing for their meal. You shall live in liberty, fearing but Almighty God. Mark my words and have no fear! Unpleasant things will still cross your path. Fear the LORD and worry not! He brings goodness out of ill. Wait for Him and for His will. That is the only thing of any great importance. He is your saviour and your Lord! And if there yet remain some bad thing within your life – then, friend, take this advice. You lead a new life, free of fear and following God; so you be a good Christian, and remember it is more blessed to give than to receive – give it to the enemy. The above text, with few alterations, was written by me in 1986. The “enemy” was all the troubled thoughts I had at that time, which I looking back upon see as particularly critical. During that time my thoughts became, as I recall myself thinking of them, “noisy”. However – and thanks be to God – I did not ever think of them as anything other than troublesome thoughts. That is to say, that I remained at all times conscious of what was real and what was not. This critical period lasted until the very early nineties, when I gradually became less troubled by things. I cannot remember any exact date when I realised I no longer had a problem, but I guess it must again have been at some point in the early nineties shortly after I had arrived in Norway. Not being a psychologist, and never having been to one, I can only suggest the causes of this internal personal crisis. I believe that it was caused in part by long term unemployment, coupled with my related inability to move out of the nest, and away from my parents. Certain people spoke of me as a parasite for that reason. I would “muse” on the meaning of life, that seemed to have disappeared with the end of my school days. It is now my belief that I thought about things a little too much. In terms of my literary output, this period was quite constructive. I wrote poems and other short pieces of writing. It is not untrue to say that I developed my own special form of English. Of particular interest as mentioned above was my concern to distinguish between “you” in the singular and “you” as the pure plural. Now that all this lies in the past, I find it much easier to speak about. I put it out on my Site, hoping that it will serve as encouragement for others. And lose in lies their lives at last. Remember the song Video Killed the Radio Star? The tables seemed to have turned. Today radio is making its comeback. With me the catalyst was the Texan radio presenter Alex Jones. I’ve been listening to him regularly since 2006, apart from small breaks when he provokes even me. I still come back to listening though, after my sulks. Of course mainstream media would have you believe that Alex Jones is simply a conspiracy nut. Whatever else you might think of him, he’s certainly no nut. The program is well researched, and nearer the truth than comfort. Nevertheless, I’m not writing about the merits of his program here. The one thing Alex Jones has done is to radically change my media habits. Had you told me back in 2006 that not only should I listen to this program when it is live – peak TV viewing hours here in Norway – I should never have believed you. Had you told me that I should go days on end without ever watching a TV, I should simply have laughed. Yet the fact is that the TV is now so negligible in my life that I seriously considered sending my notice in to the licensing authorities that I no longer had one in use. My TV has been in storage since I moved to my apartment in April. I haven’t missed it, either. Alex Jones must take a lot of the credit for this. In addition to his more controversial topics, he has spoken about how much better it is (intellectually) to listen or read. TV presents you with pictures of short duration; in radio the mind must make the pictures itself. I remember one program when Alex described this in detail. His vivid description of a pretty woman, and a situation she was in – was all the TV I needed in my own head! Alex Jones convinced me then that TV atrophies the grey matter. Since 2006 the Internet has really come into its own. I know that many listen to radio online. In the case of the TV, there is a plethora of channels to choose from, but their interest and quality seem to be inversely proportional to their ever increasing multitude; in the case of radio, the opposite seems to be the case. The greater the choice, the more relevant a factor radio seems to be. Pictured above is my new DAB-radio. In addition to the DAB channels that have just come on air where I live, which give me a rich choice, I can also listen to conventional FM (until this is turned off in 2017), or as I did today to Internet Radio. You can choose precisely the programming you yourself are interested in, and a lot of people are doing just that! Today there was a surreal feeling when I tuned in to BBC Radio Sheffield, broadcasting from the country I grew up in. My radio has a retro design as it is, and hearing Sheffield coming through its speakers, and listening to the news felt very strange indeed. The world has become a much smaller place. There is sadly one threat to this new technology. I refer to greedy lawyers in various performing rights’ organisations. More and more stations are “geo-blocked” because of licensing issues. This defeats the whole point of buying an internet radio! The internet radio is the modern equivalent of those old fashioned short wave radios on which you could listen to the radio stations of the whole world. Like mine, some even look like them. If however, it becomes impossible to listen to radio stations outside your own country, you might as well not ever bother buying one. As for my TV, I decided not to send in that notice. Since that meant that the licensing authority automatically deducted a lot of money for my license this week, I took the TV out of its hiding yesterday. I watched the evening news from the state broadcaster. I think there are three channels I can view (you can see how interested I am given I don’t know! ), because I don’t have any subscriptions for the digital terrestrial network. The decoder has a lot of radio channels though! When I was growing up I listened a lot to BBC Radio Sheffield. Undoubtedly, I should have heard them play Video Killed the Radio Star. As I placed myself today into surreality by listening again from Norway, I could not help but think that radio has finally taken revenge. None of you might have read this. My English blog was set for retirement just a year ago. I was already blogging in Norwegian. Thanks to competition from Arctic Organist I chose instead to redesign my oldest blog. That rebuild sat an indelible mark not just upon this, but also upon the newer Norwegian blog. A “duality” became central to the new twin blog design: the two blogs are both separate, and yet joined. 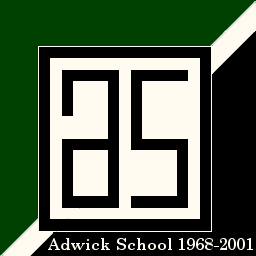 Those of you who share my Adwick past will for example recognise the colour scheme. Perhaps for you it is somewhat backward looking; I however am proud to re-employ it as a badge of identity. Yet these associations mean nothing to my Norwegian readers. Because of the “duality” where the design of one blog shows up in the other, it is perfectly truthful to claim this colour scheme (in our context) as just an original blog design – and a highly original one at that, for which I have already received a lot of praise. Conversely, those of us living over here will also see something straight away. This is likewise meaningless to you back there. Just as the blog has a set colour scheme, so it employs a set language code. I do not pretend to be doing anything less than cultivating certain forms of speech, often elevated for poetic reasons: the Norwegian twin is crafted not in the most commonly used form of Norwegian, but in the Nynorsk standard I learnt to love in my time at Arna (from 1998 to 2005). In that sense, that blog is also “backward” looking, though again I am proud to re-employ its language as a badge of my identity. In a much deeper sense this rubs off on this English blog, since there are close parallels between the Nynorsk way of thinking and English. Make no mistake, just as photography is not reality but an expression or an interpretation of reality, so is the blog you now are reading. I was one of you. Mine was a reality of towns and shopping. Yet over those shopping centres loomed God’s mountains of providence. They can for each of you as well. Yorkshire Viking Norway is my parallel world, an interpretation of old and new, where both combine. My world is both yours and ours at the selfsame time!